In 1941, Captain David Stirling gathered an elite group of soldiers and founded what was to become one of the most powerful Special Forces agencies in the world–the British Special Air Services. Only the strongest, swiftest, and most daring were allowed to join the SAS; their bravery in battle was second to none. Now YOU can become a member of the SAS! 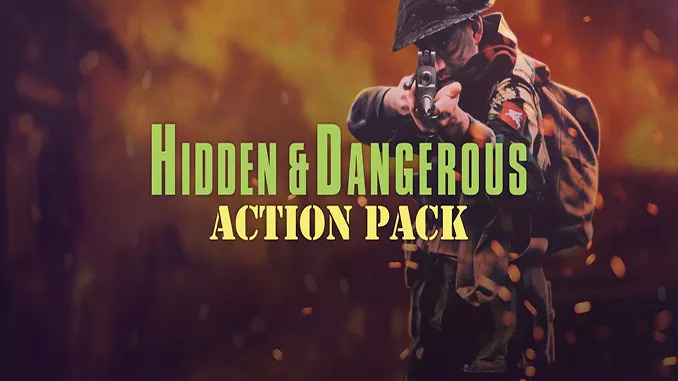 Hidden & Dangerous: Fight for Freedom adds new missions and campaigns to Hidden & Dangerous. Guide your 4-man squad of covert paratroopers deep into enemy territory during World War II. Either blow up the bridge or blow the mission…the choice is yours. Hidden & Dangerous: Fight for Freedom raises the bar for squad-based games to new heights; can you handle it? – Take control of genuine World War II vehicles! – Build your squad from a roster of 40 international commandos. Equip them with guns, explosives, and surveillance gear! – Guide your team through sniper-packed forests, underground tunnels, and deadly city streets. – Overhead map lets you synchronize split-second maneuvers! In 1941, Captain David Stirling gathered an elite group of soldiers and founded what was to become one of the most powerful Special Forces agencies in the world–the British Special Air Services.